Big brother naija 2018 which has been ongoing for more than three months now is finally coming to an end with an epic grand finale. The reality TV Show which is about different people from different background, orientation, religion and tribe in Nigeria started in February with 20 contestants or house mates as popularly called. 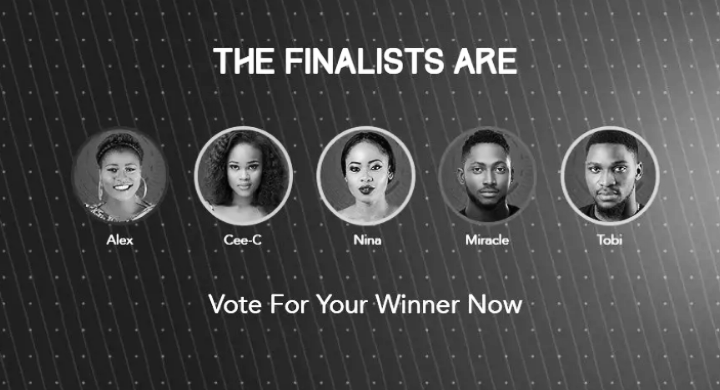 There is usually an eviction at the end of each week which takes place on Sundays, this lead to the eviction of all house mates with the exception of Miracle, Tobi, Ceece, Alex and Nina who made it to the grand finale which is currently holding now. Miracle becomes the winner of the reality TV show Big brother naija 2018 after several weeks of living together, eviction and different tasks with other contestants/hoise in a confined building. Watch out for more update...... Subscribe to get out coming post about the grand finale and pictures of the event.